Mom's Gone Bronson! 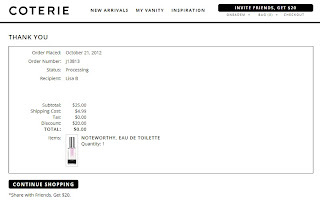 : FREE or Cheap Perfume or Cosmetics at Coterie! Hurry! FREE or Cheap Perfume or Cosmetics at Coterie! Hurry! 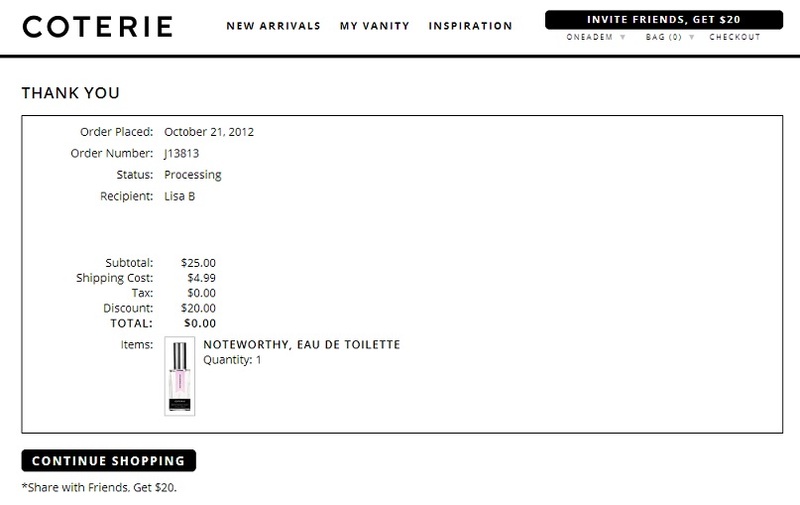 Right now you can score a FREE perfume or cheap cosmetic over at Coterie when you sign up for a NEW account AND use the promo code DEMETERVIP - you will get a $20 sign up credit and a $20 discount with the code, making any purchase up to $35 FREE with FREE shipping (Usually $4.99 but covered with your code!). This deal will NOT last long as everything is selling out FAST! There are still some GREAT bargains to be had though so hop on over there now and see what you can snag! Just CLICK HERE to sign up and shop around the site and add the above code at checkout! Your total should drop to $0 if you have anything $35 or under in your cart! I have NO idea how long this deal is going to last so PLEASE let me know if and when it is no longer working! **Disclaimer - I am in no way associated with this company or any of the affiliate products but I may get a referral credit if you sign up with my link! I would like to thank Free, Fun and Fab Findings for pointing out this deal! !